Fitting Remarks: Tell me more about Sound Probiotics! Like many of you, I have fitness/running goals that I am focused on and driven to achieve. I put a lot of time and effort into my training, and I hate to be set back by injury or illness; it can be very frustrating. So a few months ago, when Ted at Sound Probiotics reached out asking me to try their product, I was willing to give it a shot. And now, nearly 5 months later, I can’t say enough good things about this daily probiotic! Since starting to take it, I have not been sick at all, not even a cold. I know that there is no such thing as a miracle drug, but I do think this Sound Probiotics has boosted my immunity significantly. I almost always get a cold during the marathon taper, but I was so happily surprised that I didn’t get one during the taper for the Tokyo Marathon. I think that the extra boost to my immunity has really helped me (as well as my gut health!) I could go on and on about Sound Probiotics, but I thought it would be helpful to get more information from the source. 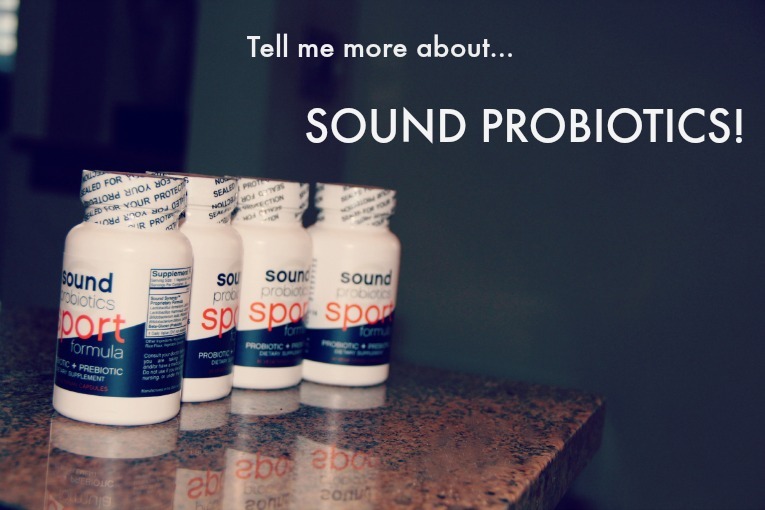 So here is a quick Q & A with Ted, one of the co-owners/creators of Sound Probiotics! (The other creator is Mark that Ted mentions in the first question.) Enjoy! How did Sound Probiotics come to be? Mark spent most of the last two and half years cycling in some of the biggest races around the globe, from the Haute Route in France to La Ruta in Costa Rica. I also put a lot of time and sweat into training and racing, like most of your readers, chasing my dreams and goals. 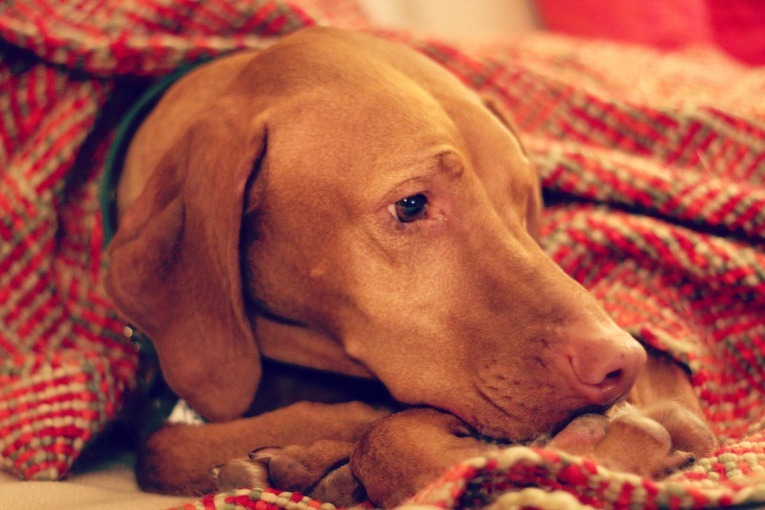 The fear of missing a day of training – or worse yet, a race or event we’ve spent so much time and energy preparing for –because of sickness, was always a big fear. We wanted to do everything we could to improve our recovery and overall health. That led us to dig into the research on the best ways to stay healthy while training at a high level. 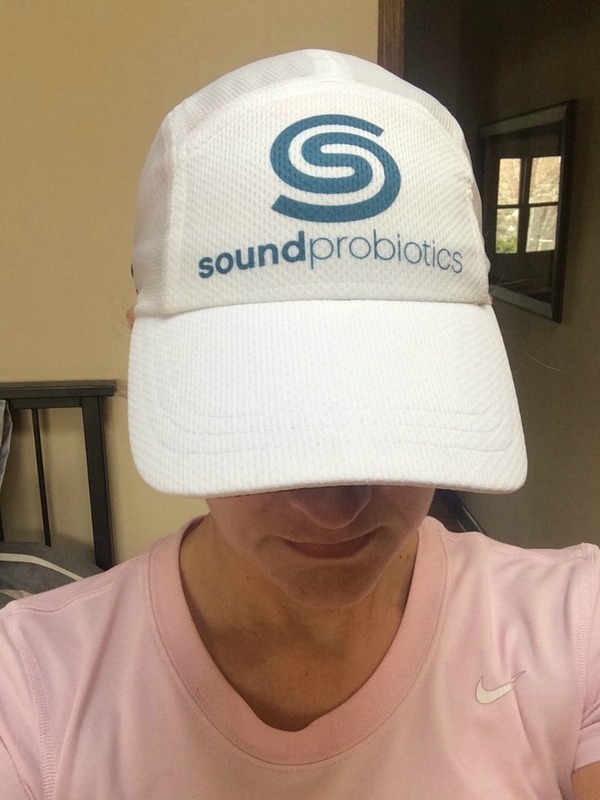 And when we did we realized that probiotics in general, and specifically the eight strains we ultimately chose for Sound’s formula, should be an integral part of any athlete’s regimen. But we quickly realized no such product existed. 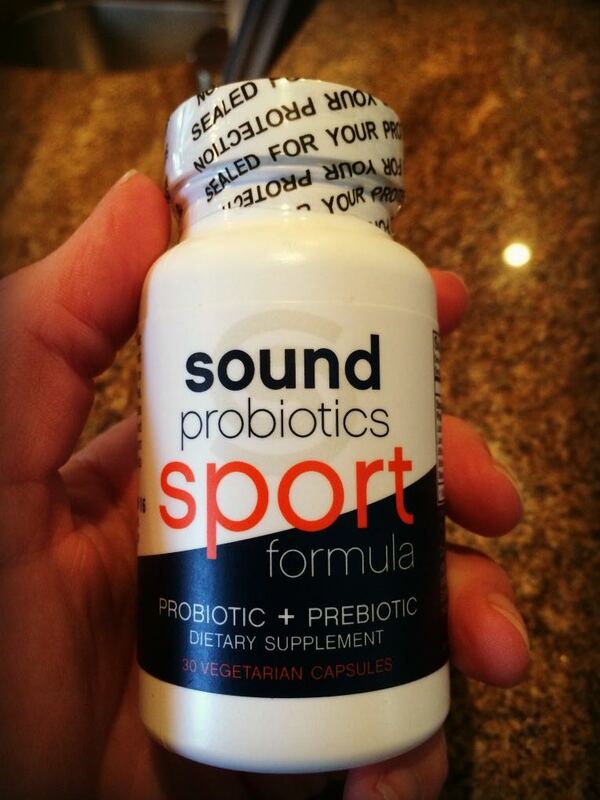 Enter Sound Probiotics! So why not just eat yogurt every day? Don’t get me wrong, I love the occasional Chobani. But active individuals need more than that cup of yogurt. While it’s certainly better than nothing, we as athletes always push to get the most out of our bodies, so we need to get the most out of our diets too – and there are a lot more highly beneficial strains, and total number, of probiotics in our supplement than that cup of yogurt. When we looked at the studies that were done on athletes, the effective doses ranged between 10-30 billion CFU (colony forming units). One of our pills contains eight different strains, and 25 billion CFU, while a normal cup of yogurt contains only 3 million. The delivery and absorption is a big issue too. Most of the good bacteria found in yogurt and foods like kimchi, are killed by stomach acids before they even reach the small intestine, where they are actually needed and put to use. That is why we also created an acid-proof capsule designed to get the probiotics directly to where they are most effective. What makes your probiotic different? What makes Probiotics work? There are many types of bacteria, both good and bad. Probiotics are these good strains, and there are many types of probiotic strains. Each strain has a specific effect on the body. We saw probiotics specific to digestion, mood and heart health for example, but there is a surprising amount of research on specific probiotic strains and athletes. Those are the studies we focused on and those are the strains that we included in our product. It is these strains, like bifodobacterium longum, that show an increased run time to fatigue, or decrease the occurrence and duration of sickness in cyclists. Lactobacillus rhamnosus has been shown to reduce the risk of GI issues in athletes. Prebiotics are just as important. They improve the function and effectiveness of the probiotics. But we see few probiotics that take advantage of this important ingredient. We chose the prebiotic beta-glucan specifically for the depth of research on its effectiveness on athletes, including marathoners. Why not take a multi-vitamin? We certainly know athletes who take multi-vitamins, but we know many more who have stopped taking a multi. For those of us who pay attention to our diets, we get the necessary vitamins through our food. Most of the excess vitamins we ingest pass right through our system. The research really hasn’t shown much benefit with the use multi-vitamins. In contrast, we see study after study that shows considerable benefits of probiotics. Side effects are quite rare, but there is the possibility that some bloating or discomfort accompany the first 7-10 days of supplementing with a probiotic. Everyone’s gut is in a different state of health and the influx of good bacteria can affect each individual differently. Just in case, we’d recommend trying this out for a week or so before any major event or goal – you should know by then if your gut has any issues with the product. And even if you do, these issues may go away soon after as your body adjusts. Can pregnant women take probiotics? Probiotics are safe to take during pregnancy. In fact, you will find some literature that even encourages it. To be sure, before starting any supplement or medication during pregnancy it would be important to discuss it with your doctor. Amazing! I don’t think even we were expecting the reaction we’ve seen. Not only is the media extremely interested – expect a lot of coverage in major publications over the next couple months! – but we never dreamed we’d be courting Olympic, World Champion and Pro Tour athletes so soon after our launch. Two of our earliest fans were Olympians and perennial podium finishers, triathlete Matty Reed and MTB racer Sam Shultz. Both were eager to sign with us after trying the product for a few months. Since then we’ve added two of the hottest long-course triathletes in the world- Ben Hoffman and Rachel Joyce- to the Sound family. Both are early favorites for this year’s Ironman World Championships. And while we can’t release the name yet, we’ve just signed a major international cycling team! Stay tuned…This kind of reaction, while extremely humbling and exciting, really speaks to the need for this type of product, and the quality of our formula. 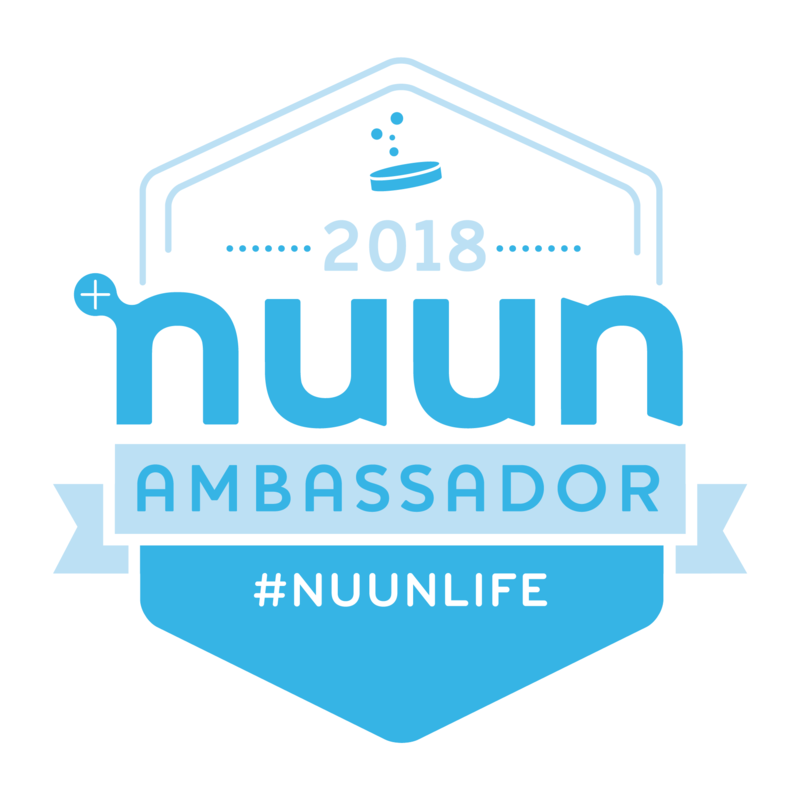 The best part of our day is hearing from athletes who have tried Sound Probiotics and are now training more confidently, feeling better, and simply able to keep up with their busy active lifestyle. And we’ve heard plenty of these stories! It’s exciting to think about what the future has in store. What are you training for? What are your sports? If it’s outside, we’re into it. Cycling, running and triathlon are the big focus, but we’ll hit the snow in winter, paddle in the summer, and jump into the occasional adventure race or obstacle course challenge. Races for 2015 include the Superior Trial 25K, Lifetime Triathlon, local mountain bike races, among others. And we’ll be supporting our athletes at their various races when we can too. As long as we can be around other active folks, we’re happy. She wants to make sure you know that rest is important too! I tried these probiotics based on what you discussed here. I have been using it daily for two months. As a mother of two young children, I am always exposed to the viruses they bring home from school. I used to always get sick after caring for them, especially during crucial times like my taper. Since using these probiotics, I successfully tapered and completed the Twin Cities marathon without catching the cold both my kids had. I’m thankful I heard about it. Thanks!